You can see his eye glowing. There’s a body too, I promise. I realize I’ve already written about the bats, but last time I could have been lying. I could have been spewing whatever crazy froth had floated to the top of my brain, just as I do when editing other peoples’ resumes, putting up job descriptions on Craig’s list, or applying for a place in the emergency room. But now I have proof of all my romantic waxings about bats, and my life, your life, and especially the bat’s life has changed. It’s nothing unusual to see bats loitering around while I’m clacking away at the ol’ silver clickers (keyboard) on my increasingly dusty balcony in Mohansideen where it never gets completely dark. I’ve even named one of the bats Nigel, but it’s difficult to tell which one he is since they all look like soot colored flappy things against the grey nighttime sky. I had already finished yelling at the moon (credit: 30 rock) and drowning in my endless sea of Arabic homework. And so there I was, getting my greedy fill of internet magic and thinking about the banality of life when the world changed. 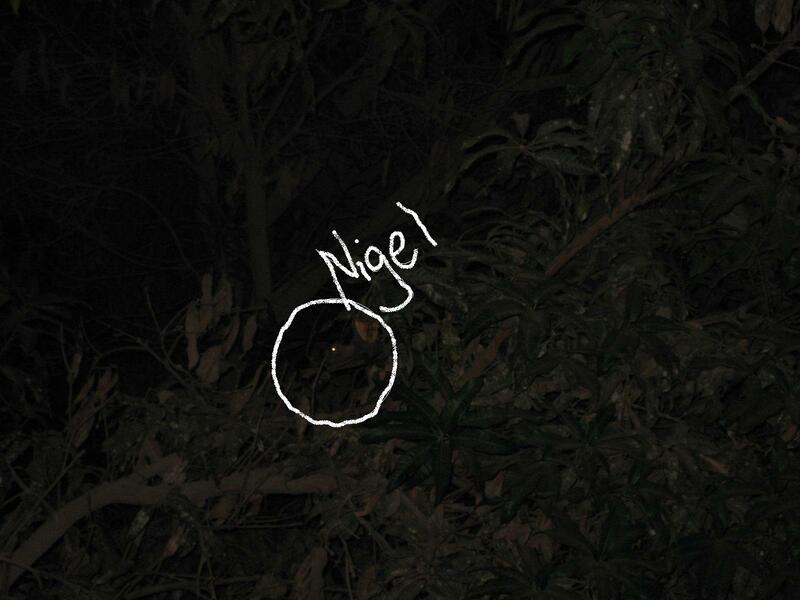 I see Nigel fly up near the tree next to my balcony, since bats can fly. This was nothing special. I was utterly unimpressed, disgusted even. And then he latches onto a branch and HANGS UPSIDE DOWN ON THE BRANCH! UPSIDE DOWN! CRAZY! He hung for a good 3 minutes and I felt the whole world disappear as I stared at his freakish being suspended there in the vegetation. It was, to be quite frank, the most ethereal bat experience I’ve ever had. Here is a play by play of my thoughts throughout the encounter. Also, National Geographic is probably going to be contacting me pretty soon because of my breathtaking pictures, in which case I’ll have to buy sunglasses and leave this lame blog behind. 12:45 am: No new facebook notifications. My life is worthless. Why did I even have wireless internet installed? Why did I go through that hassle only to reach the unavoidable conclusion that my online life is as mundane as my carbon-based one? 12:46 am: There’s Nigel…he’s looking fit tonight. Why is my eye twitching? 12:47 am: What a second..what the..OH MY GOD! HE’S HANGING UPSIDE DOWN ON THE TREE! I’M SITTING HERE LOOKING AT HIM AND HE’S HANGING UPSIDE DOWN JUST LIKE THAT BAT DID FROM ANASTASIA! THEY ACTUALLY DO HANG UPSIDE DOWN! 12:48 am: HE’S STILL THERE! MUST GET CAMERA! 12:58 am: Why was I impressed by seeing a bat hang upside down in the first place? I need to get more sleep. 1:00 am: You know what, it was really cool to see Nigel hang upside down. It was freakin’ AWESOME! But seriously, why is my eye twitching?